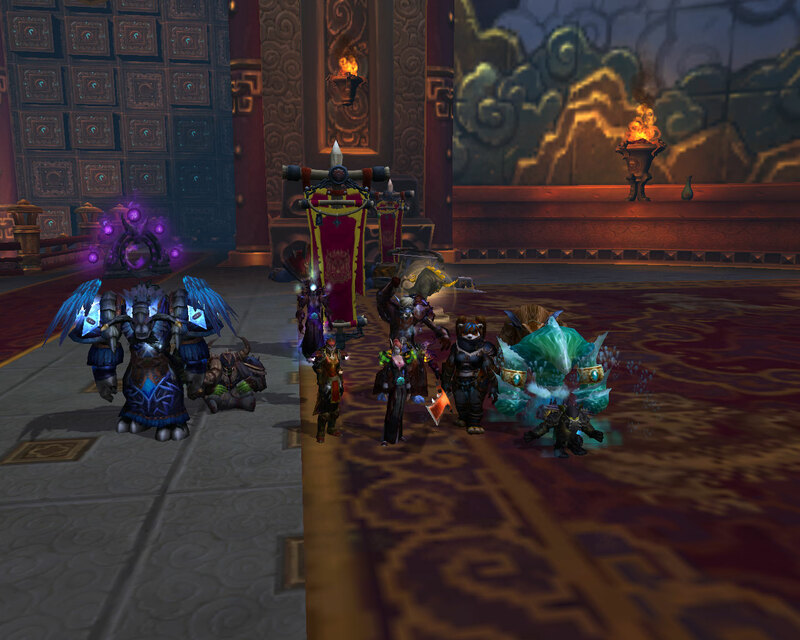 Hot on the heels of Tuesday’s first kill of Gara’jal the Spiritbinder, we one shot the Spirit Kings! We had never even attempted this boss before ever (because we had just killed Gara’jal for the first time). It was definitely a good night! No loot dropped for me, but I’m happy anyways! After our one shot, we went to try Elegon. We wiped twice on the trash. Apparently trash is more difficult than bosses. We got one attempt in on Elegon before we had to call it, but next week should be great! Mooglegem and I were late to the raid because she had to work overtime. We didn’t make it online until 8:05 or so even though the raid was supposed to start at 7:00. On top of that, one member had to leave at 9:00. That means our normal 3 hours was cut down to 55 minutes. I’m amazed we still made some progress!